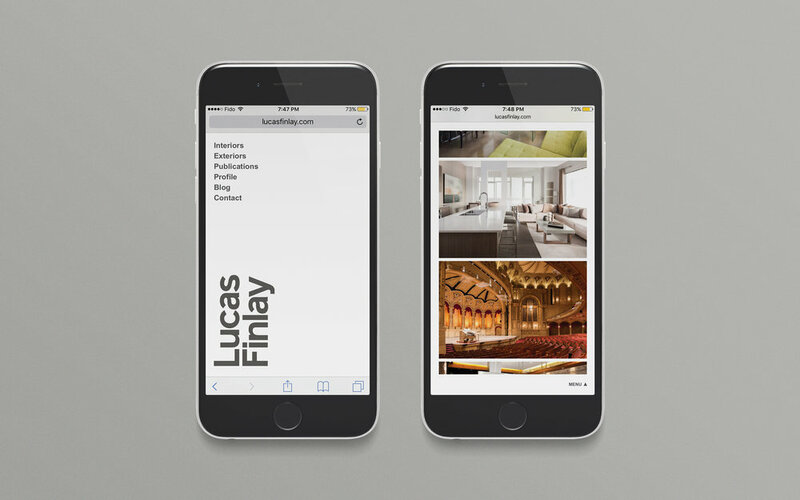 Branding & interactive for architectural photographer, Lucas Finlay. Lucas has travelled the world photographing interiors & exteriors for publications and architects. He needed a contemporary refresh of his branding, as well as a new website that brought imagery to the forefront. We created a fluidly responsive website that handles images of any size or orientation, scaling from the smallest mobile display to the largest monitor with ease, with an interface that allows the content to take centre stage.